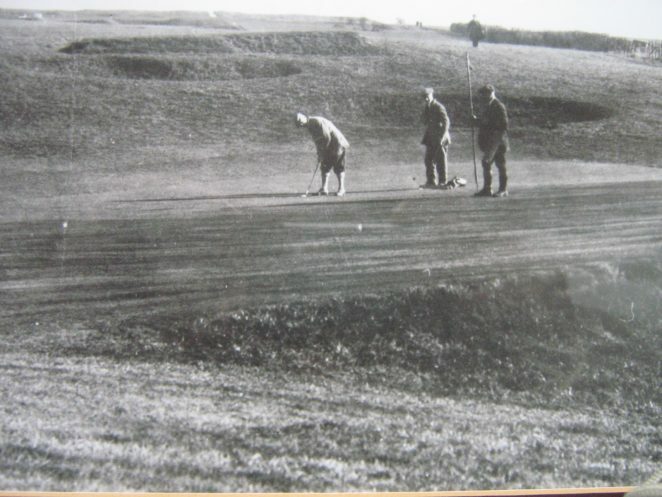 As anticipated the course proved a great success and in the summer of 1909, the Council approved a scheme put forward by Benjamin Saunders to extend the course to 18 holes to fulfill the ambitions of the original scheme. 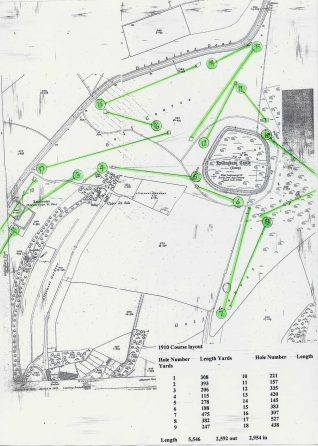 In 1909 an additional 23 acres of land to the northeast of the camp was purchased from a local farmer, Mr Rogers-Tillstone at a cost of £1,200, in addition, the scheme prepared by B.J.Saunders required the purchase of a further 23 acres from Kemp’s Trustees to extend the course. 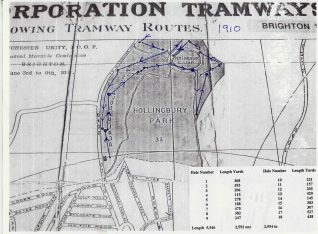 As with the original course the work in laying out the extension was carried out using unemployed workmen; the funds provided by the Distress Committee for the assistance of the unemployed. Work started in the winter of 1909, once again under the supervision of Benjamin J Saunders. The extension of the course facilitated the removal of the controversial green & tee from within the camp. In July 1910 it was agreed to improve the Pavilion commensurate with the popularity of the course to provide a dining room. This building served a number of uses over the years – finally as a children’s nursery, it was demolished in 2012. 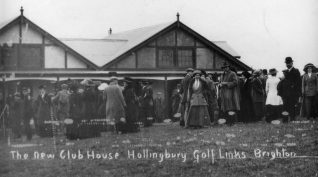 The course and the extension to the clubhouse were completed (without a JCB in sight) in time for the formal opening of the extended 18 hole course on 26th October 1910. The opening drive was made by the Mayor (Alderman Edward Geere) before a considerable crowd. Described in the Herald newspaper thus ‘his Worship looked at the ball with the eye of an expert, hesitated, then gave it a tap; it was a full hit without hint of a “foozle” about it and the ball – rolled twelve yards’ – this on a day described in the same report thus – ‘It was indeed a perfect Autumn day; the mists of the early morning were brushed out of the sky by a light breeze; the fine panorama of downland which stretches away from Hollingbury Park was spread out in all its beauty; and the soft sunshine gave the crowning touch of charm to the landscape’…most golfers at Hollingbury have shared the same experiences at some time…good & bad! The Mayor went on to eulogise the services rendered by Mr B.J.Saunders. 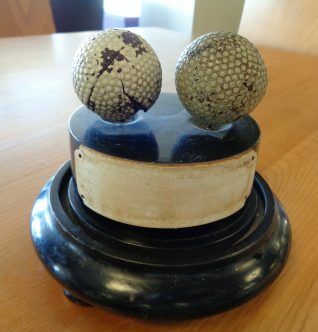 There followed a presentation from the ‘users of the golf links’ in the form of an engraved silver tray and an ‘illuminated album’ inscribed with the names of 90 subscribers and views of the course. 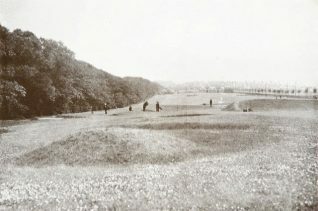 Many people had turned out to watch the exhibition match that was to follow between the Open Golf Champion James Braid and five times former champion (and champion of public golf) J.H.Taylor – the match over the new course extended to 5,546 yards was won by J H Taylor by 3 shots, 83 against Braid’s 86, against the Bogey for the course of 79. The poor scoring put down to the new condition of the course. What an interesting article and a fine collection of old photographs. Thanks for sharing.